Project Cost estimation is a flexible software tool based on a dynamic database. It keeps records of all projects and their cost estimation details, which can be easily used by new similar projects to provide a substantial time saving. PCost used for archiving all information for enterprise resources including Project, Staff, Partners, Employers, Contractors, Tenders, Offers, Contracts, MoUs and Contacts. All information are securely stored so that it cannot be access without authorization. Furthermore, E-mail messages or SMS text messages can be sent directly to Staff, Partners, Employers, Contractors and Contacts. PCost helps to build project pricing strategy and enables the user to build more than one strategy to estimate the cost of any project. 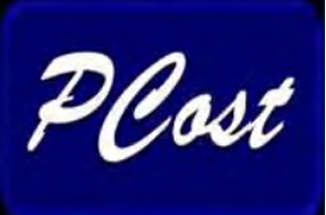 In addition, any information entered to PCost would be saved for future use. PCost can add, delete and display the information of any of the entities defined above. Also the user can produce a hardcopy for any of the entities with all of parties attributes. PCost is very secure, easy to install and use, it also interactive with many helping tips and warnings for critical actions. All users can use PCost by following activation and registration procedure before using. The activation procedure will be done only once when activating PCost for the first time on the computer. To run PCost, the user should enter a valid and registered username and password, which usually chosen by the user during the activation procedure. Expert Group formed from a number of specialized companies in the fields of energy, oil, gas, information technology, communications, medical and engineering services.